Triumf S-400 anti air missile systems. India has signed many defence deals with Russia despite a strong financial crunch. 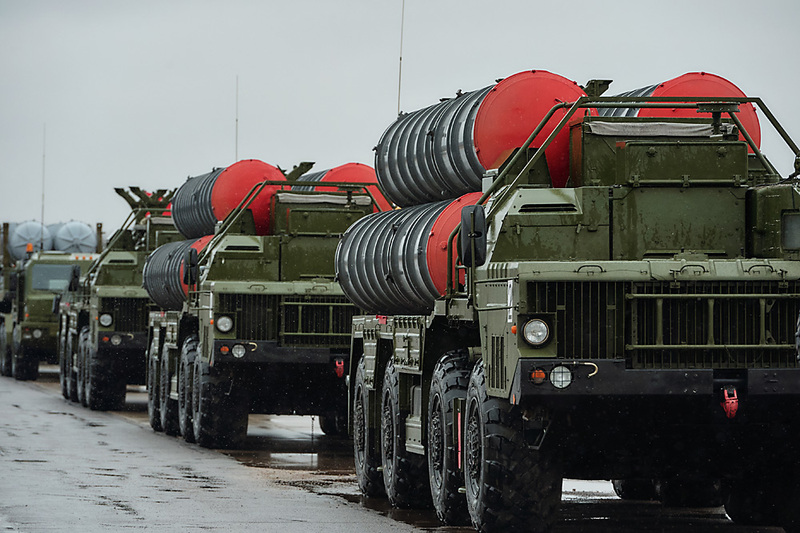 Out of its deals it has accorded top priority to the purchase of the S-400 which it expects to be signed by the beginning of the next financial year. Government sources told Sputnik that the crucial parts of the S-400 deal are in their final draft and the deal is expected to be signed by the first month of the next financial year in April 2017. India signed an agreement for the purchase of $4.5 billion worth of S-400 Triumph air defence systems during the annual meeting between India and Russia in Goa. ICICI securities stated that 90% of the budgeted defence spending goes towards payments for already announced projects. Last week, Manohar Parrikar, Indian Minister of Defence, indicated that country would sign defence deals worth close to $9 billion in next six months. Parrikar stated that during the past 23 months, India had signed contracts worth $ 34 billion.